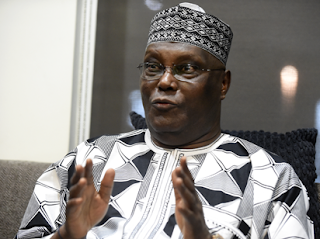 The Peoples Democratic Party’s (PDP) presidential candidate, Alhaji Atiku Abubakar, has begun earnest search for his running mate as the Independent National Electoral Commission (INEC) deadline for the submission of names of parties’ candidate expires on Monday. By the 1999 Constitution as amended and the Electoral Act 2010 as amended, no candidature is complete without a running mate. A sources close to the Atiku camp said at least three technocrats and two politicians have been penciled down for the position. The technocrats are, former governor of Central Bank of Nigeria (CBN), Prof. Charles Soludo; former Minister of Agriculture and Rural Development, Dr. Akinwunmi Adesina; and former Managing Director of Asset Management Company of Nigeria (AMCON), Mr. Chike Obi. The politicians being considered for the number two position are, former governor of Anambra State, Mr. Peter Obi, and the Deputy Senate President, Senator Ike Ekweremadu. According to a source, the candidate and the PDP hierarchy are still undecided on the zone the position should be allotted. But he said the scope had been narrowed down to the South-west and the South-east. “We would have to weigh the electoral value of both zones and decide where we would allot it,” the source said, explaining that there was the need to maintain a balance between the existing political configuration, which requires the party to challenge the dominance of the APC in the high voting South-west by picking a running mate that would challenge the electoral advantage of Vice President Yemi Osinbajo; and the need to retain the loyalty of the South-east that had remained a PDP stronghold. Both zones were believed to have helped Atiku to neutralise the Northern zones’ delegates’ votes that went to Sokoto State Governor, Alhaji Aminu Tambuwal during the presidential primary on Saturday. A source also said that the matter would be trashed out tomorrow at a meeting of the presidential candidate with the party hierarchy. Apart from zoning, Atiku is also said to be considering age and knowledge of the economy and economics as two major criterions for the selection of the running mate. According to a source, the presidential candidate thinks his running mate has to be a much younger person as a strategy to appeal to the army of youths, which is already up in arms against the old brigade. Atiku is, however, said to be insisting that such a young man must also have deep knowledge of the economy as his focus is on the revival of the economy to create jobs for the teaming unemployed population. “His challenge, therefore, is how to strike the balance between getting a youthful running mate and an economy savvy candidate. Both must be rolled into one,” a source said, explain that this might have informed the short list that was revealed.